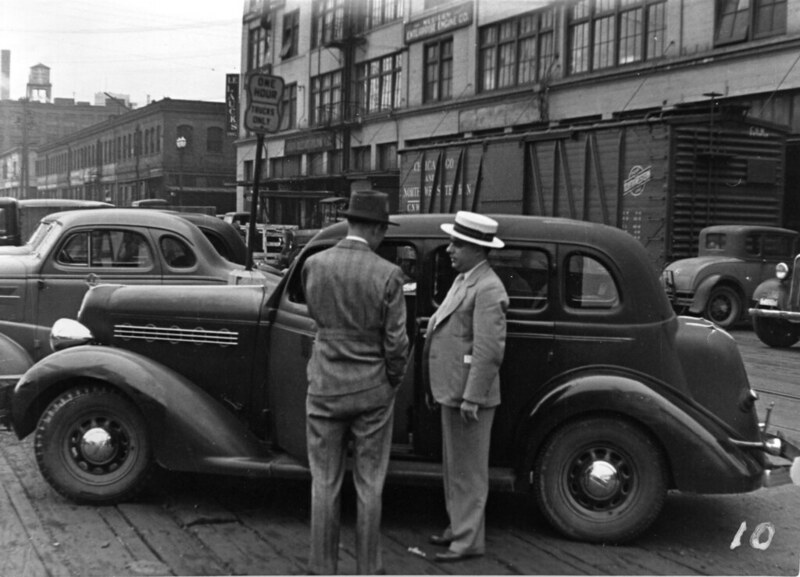 The Great Depression isn't only known for being the era of economic hardship and strife, it was also one of the most prolific periods for daring bank robbers. Sometimes referred to as the Public Enemies Era, the 1930s saw the rise of great bank robbers, a group of reckless men (and women) who might have once found a career blazing a pioneer trail. Left with nothing to do but vent their rage at a government and upper class that put them in a dire situation, they turned to a life of crime. While G-men worked to take them down, these public enemies blazed a trail across the American consciousness. The escapades of bank robbers during the Great Depression were captured in newspapers with all the pulpy zeal of a dime store novel. They became pseudo celebrities and Public Enemy Number One. You may have heard of Dillinger, or Bonnie and Clyde, but these well-known faces are just the surface of a rogues' gallery that goes deeper than any comic book. Throughout the 1910s and '20s, John Ashley and three of his buddies would rob and steal anything they could find. Ashley himself had a real fondness for putting the hurt on local Native Americans. Ashley was so notorious that he had a blood feud with Sheriff Bob Baker. During a robbery in 1915, in which all of Ashley’s cohorts escaped, Ashley was shot in the face by an associate. His jaw was shattered, the bullet lodged next to his left eye, which doctors then surgically removed. Ashley refused surgery to remove the bullet itself, reasoning that he would soon be executed regardless. Baker liked to tease that one day he’d wear Ashley’s glass eye as a watch fob. Ashley was shot to death in a confrontation with deputies in 1924. A known associate of John Dillinger, John “Red” Hamilton got his criminal education at Indiana State Prison when he was sentenced to 25 years for robbing a gas station. Hamilton busted out early when Dillinger smuggled a barrel full of weapons into the prison. Most of Hamilton’s singular notoriety comes from the events surrounding his death. After being shot in the back in a skirmish with police, Hamilton allegedly died at a safe house in Aurora, IL. While some legends persist that Hamilton survived his wounds and retired to northern Indiana, some homeowners in Aurora have claimed that they’ve come face-to-face with the spirit of John Hamilton, who’s still haunting the house where he died. Bailey’s career spanned thirteen years from 1920 to 1933. During the course of his career, Bailey supposedly robbed more than 20 banks, once even robbing the Denver Mint of $200,000. Ford Bradshaw considered himself to be running a competition against fellow Oklahoma bank robber “Pretty Boy” Floyd. Though the history books might have made “Pretty Boy” the more prominent figure, Bradshaw was by far the more successful thief. The beginning of Bradshaw’s end came the day after his best friend, Wilbur Underhill, was gunned down by federal agents. In his grief, Bradshaw and some buddies visited Vian, OK, and opened fire. The attack put more attention on Bradshaw than ever before; he was shot by a sheriff’s deputy while resisting arrest a short while later.